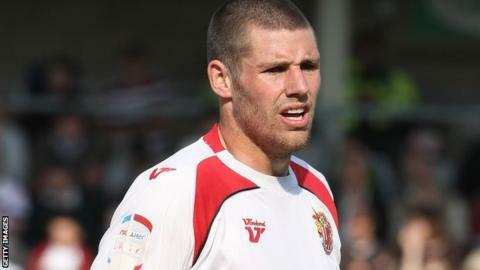 Peterborough United have signed powerful midfielder Michael Bostwick from Stevenage for an undisclosed fee. The 24-year-old, who is 6ft 4in tall, has signed a three-year deal after playing 194 games for Boro. He also scored 20 goals for the club including one in a 3-1 FA Cup third-round win over Newcastle in 2010-11. "He gives us something different, he adds a bit of steel in midfield but he can play a bit as well," manager Darren Ferguson told BBC Radio Cambridgeshire. "He's a good age, he's ready for the step up and I'm really pleased to get him on board." The deal was confirmed by chairman Darragh MacAnthony, who tweeted: "Welcome to Posh Michael Bostwick. Gaffer's No1 target for summer." Bostwick is Peterborough's fourth summer signing following the arrival of Bobby Olejnik, Danny Swanson and Nathaniel Mendez-Laing. Bostwick met his new team-mates for the first time on Monday in the departure area at Luton Airport as they flew out for pre-season training in Portugal. Midfielder Grant McCann and forwards Paul Taylor and George Boyd are among the players to make the trip, even though they are all on the transfer list. "Nothing is happening with them at the minute. They are part of the squad and that is the way it is," Ferguson told the club's website. Defender Mark Little and forward David Ball have been left behind after being told they are not part of the manager's plans for next season. "They want to get on with their careers and I feel I have players in those position. It is up to Mark and David to get other clubs," said Ferguson. Meanwhile, the Scot is in talks with former Tottenham, Wolves and Barnsley midfielder Rohan Ricketts about joining the team for training when they return to the UK. Ricketts, 29, played one game for Exeter at the end of last season after four years playing abroad.